Many Entrepreneurs believe they should simply ‘Think Big’… and success will manifest into their Business and Lives. Wrong!!! I have been living in Canada for over a decade now and feeling so grateful for all the great opportunities coming into my life on a daily basis. While living the North American Dream, I am now helping others become Entrepreneurs through FC Success Academy – so they too can fast-forward their success. Being born and raised in Haiti – the poorest country in the Western Hemisphere – was quite a privilege. I do not know of anywhere else on earth where people have ‘bigger and wilder’ dreams than in Haiti – I’m not even kidding. I was raised thinking that sky was the limit and that I could literally reach for the stars and conquer the world. That profound belief helped me overcome all fears – giving me an appetite for risks, and most of all, made me unstoppable! But, only when I came to Canada did I understand the importance of starting small and learning fast – while ‘still’ thinking big. And that made all the difference for me, my ventures, and accomplishments. ‘Think Big’ alone would not have gotten me very far. ‘Think Big’ is the ability to see where the world is going and anticipate people’s needs in your niche market. Define a clear vision for what you want to accomplish – and think outside the box. Apple, Google and Facebook are great examples of constant innovation, and masters at anticipating customers’ needs – they set new trends. They create solutions to the needs of massive audiences – they even create the needs for us, too. My father once told me back in Haiti – when as was still in elementary school, “It takes exactly the same amount of energy to dream of having a bike or to dream of owning a house.” I have always wanted to make a big impact in this world – in my own way. But I knew I had to start with small steps to get there. How did Facebook, Google, Instagram manage to come out of nowhere? And how did they grow to reach billions in annual revenues – so quickly? Of course, there are many explanations for their phenomenal growth. But one technique small businesses can learn from for sure is the ability to ‘Think Big’, yet take ‘Small Steps’. “No matter how ambitious the plan, you have to roll up your sleeves and start somewhere.” – Susan Wojcicki, CEO of YouTube. One of Google’s Eight Pillars of Innovation, says Wojcicki, is “think big, act small.” This means the company may have big ambitious goals. But it starts to achieve those goals by taking small steps, one at a time. In my own experience, I remember the Fabienne Colas Foundation started with just one Festival in Montreal in 2005, and now we have several programs, meaningful initiatives, and almost 10 festivals around the world attracting tens of thousands of people, getting international media coverage as well as welcoming top celebrities every year. It all started from humble beginnings – with a big dream and vision. You also need to learn, move and act fast to make it big!!! The world is moving and changing very fast. You have to keep up with new consumer habits and trends to remain relevant. But mostly, you have to anticipate needs and set trends to be competitive. A great way to remain up to date and relevant in your niche is by constantly investing in your education: reading, attending seminars, taking online courses on a regular basis. You simply cannot afford not to be the best at your game! Do you have big goals for your business or as an entrepreneur? Do they seem way too far away and hard to obtain? Well, all you need to do is start one step at a time. But are you confused about where to start? Or, do you wonder what the next best step is? At FC Success Academy, The Online Business Training Bootcamp for today’s entrepreneurs, we offer a 6-week online interactive, video-based training program that shows you, step-by-step, how to build your own profitable brand (business, product, service, event or project), get massive sales, and leverage the power of the Internet and social media to become unstoppable! Enrollment is open. Take action today. Hope you found this article useful. Let me know what you’re struggling with when it comes to launching your own business, product or service and please share if you have other useful tips for new entrepreneurs. Award-winning actress, filmmaker, speaker and business owner, Fabienne Colas is the ‘Queen of Festivals’ and founder of a successful entertainment & media empire – which includes 7 successful festivals in Canada, the USA and Haiti; a production company and several other ventures. 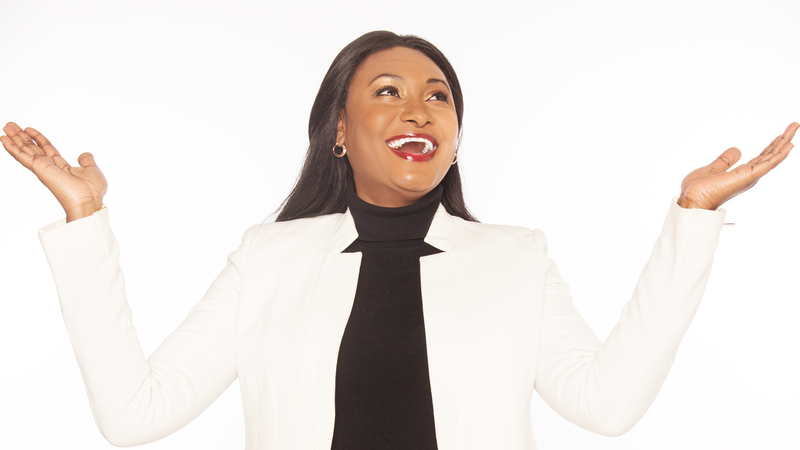 CEO/Founder of Zaza Production, Fabienne helps people unlock their greatness, launch their products and services, reposition their brand and bring their business to the next level.